From the people that brought you REM Services Ltd, a Grand Cayman based property rental and management company, we are pleased to present their newest venture; Caymans Luxury Retreats where we are offering some of the best vacation rental properties on Grand Cayman. From the prestigious 'WaterColours' condominium complex on Seven Mile Beach, to secluded oceanfront villas in Rum Point, we offer a full vacation booking service to make sure your vacation time is best spent and you get the most out of the stay. Arriving late or on a sunday? Caymans Luxury Retreats and REM Services will ensure you have the essentials in your vacation home ready for you should you choose to take advantage of our groceries ordering service. For those looking to enjoy the sunset with a cold beer or cocktail, we can also have liquor delivered to the apartment for a hassle free, relaxing, start to the trip. Our website has a lot of information on the Island, tips on where to eat, water sports, and things to do and see! Take a virtual tour of our units and see for yourself! 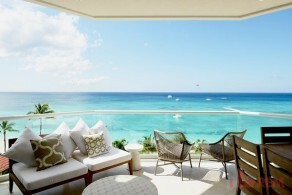 Caymans Luxury Retreats and REM Services are here to help ensure your vacation in Grand Cayman is one to remember!